Last week, officials announced that UPD Chief RaShall Brackney and Assistant Chief Michael Glaubach would leave their roles beginning Thursday. Updated: Jan. 16, 2018 at 2:20 p.m.
RaShall Brackney, a Pittsburgh police veteran, was brought to GW in June 2015 to lead the troubled University Police Department. Her predecessor, Kevin Hay, resigned abruptly the previous fall after a string of discrimination complaints from former officers and growing frustration about a hostile work environment in the department. Starting her tenure, Brackney vowed to strengthen the department’s relationship with the student body and engage the entire community in campus safety. But last week, officials announced that Brackney and her Assistant Chief Michael Glaubach would leave their roles beginning Thursday. Their departures mark another abrupt end for a University police chief and continue a volatile period for the department. UPD Commander Bessie Burrus will serve as interim chief. Experts said the dual resignations could be an indication that new University leadership is dissatisfied with the direction and management of the department, especially with the arrival of a new University president last August. Officials have said little about what led to the resignations of the department’s two most senior officers. Senior Associate Vice President for Safety and Security Darrell Darnell said both Brackney and Glaubach “decided it was the right time to step down from their positions,” a statement nearly identical to one from a University spokeswoman last week. He added that the University will “take some time” to assess the needs of the department before searching for a permanent chief and assistant chief, but declined to give an exact timeframe for the search. Darnell, through a University spokeswoman, declined a request for an interview about the resignations. He declined to say why Brackney and Glaubach decided it was the right time to step down from their roles, whether they made the decision on their own and whether there were any concerns about the leadership and performance of the department that led to their resignations. Both Brackney and Glaubach did not return multiple requests for comment. In a short release announcing Brackney’s resignation, officials did not give an explanation for her departure or include a comment from Brackney, which is atypical of a University resignation announcement. Current and former officers did not return or declined requests for comment. Department leadership does not allow officers to speak to the news media. Security experts said the simultaneous resignations of the chief and assistant chief are unusual and likely reflect a desire for culture change in a department that has faced criticism from students and even its own officers. Fred Shenkman, an emeritus associate professor of criminology at the University of Florida, said the dual departures could indicate that the chief and assistant chief were told to leave and that when officials are forced out, they’re often given the option to resign, as opposed to being fired. “Often times resignation is sort of candy-coating some real un-acceptance of what the people have done and, to have two at a time, that’s quite unusual,” he said. Shenkman said it’s likely that “some specific event or events” caused upper-level administrators to want a “significant change” in leadership. The extensive time and effort required to search for two new leaders indicates a strong desire to alter the department’s direction, he added. Crime clearance rates, morale issues, complaints against officers and treatment of minority populations could all lead officials to replace a university police chief, Shenkman said. Before Brackney arrived, former officers filed a series of discrimination complaints against the department and officers complained of an “us vs. them” culture dividing low-ranking officials from leadership. Over the last few years, the department has faced criticism from some students who said officers have abused police powers. In 2016, students complained after UPD officers entered District House common rooms without notice or cause. Students and one officer have also voiced concerns that police policies allow officers to force intoxicated students to go to the hospital when it isn’t medically necessary. Robert Pusins, a law enforcement expert serving in the Broward County Sheriff’s Office in Florida, said a change in department leadership is not unusual when there are changes in the upper-level administration. Since University President Thomas LeBlanc took over last August, several high-level officials have left their roles. “New administration may just have determined they want to bring in their own team that they are familiar with and comfortable with,” he said. Aran Mull, the assistant chief of police at New York State University in Albany, said the dual resignation is not common but not “outside the pale,” especially with a new University president. “It’s entirely possible that as part of the group that the new president is looking to bring in as part of that process that they hold a profound level of trust for,” he said. 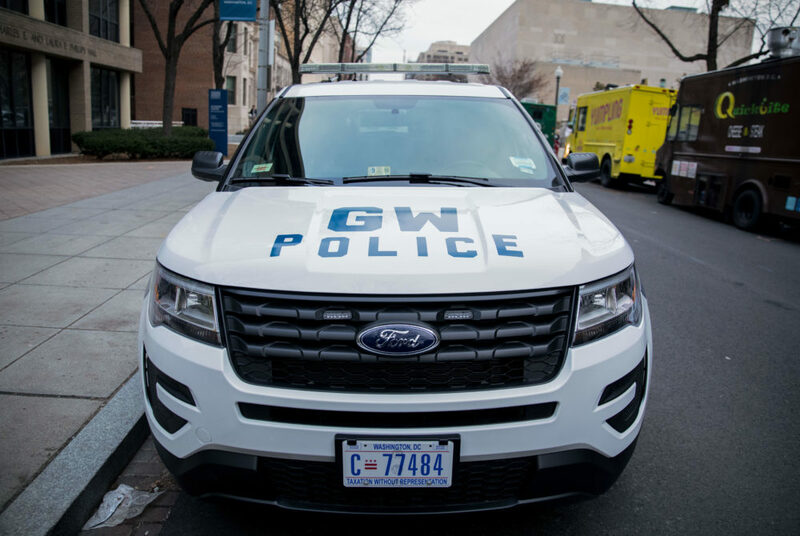 UPD Chief RaShall Brackney will step down from her position Jan. 18, after less than three years at GW. During her tenure, Brackney sought to build a stronger partnership with students and the surrounding community, ramping up the department’s social media presence and releasing student videos on campus safety. Brackney held monthly meetings with community members throughout her time on campus and convened town halls on campus activism and police relations with minority students. A UPD student advisory board, which would have given students a formal say in police procedures, was proposed in 2016, but never launched. Brackney also sought to promote officers from within the department in an effort to boost officer morale. Under Brackney’s predecessor, five former officers sued the department alleging discrimination. During Brackney’s tenure, the department reclassified sexual assault and abuse claims in response to growing student reports. But Brackney was also named in a March lawsuit when an admitted student accused officials of violating federal Title IX and civil rights laws. The admitted student claimed the University ignored her sexual harassment complaints and discriminated against her based on her gender after UPD barred her from University property following a domestic dispute with a male student. Student Association Sen. Imani Ross, U-at-Large, who met Brackney during her first SA senate campaign in 2016, said the chief was always willing to meet with students and ensured fair treatment by the police. Ross said her resignation seemed sudden and that with her departure, students would lose an official who always made an effort to advocate student issues. 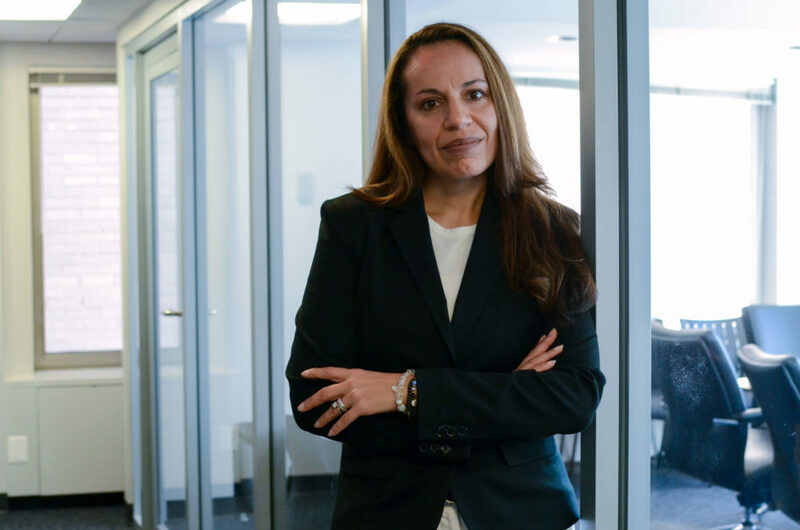 “In other departments we don’t get those people who are really interested in student success and not just treating us as adults that understand the entire world,” she said.